Health and care services across Staffordshire and Stoke-on-Trent are embarking on a new era of integrated working to ensure people are better supported to lead healthier and more independent lives. Integrated Care Teams (ICTs) are being introduced by the Together We’re Better partnership – with each one serving a community of between 30,000-70,000 people based around neighbouring GP practices. Each team will bring together a range of primary, community and mental health services, alongside social care professionals and the voluntary and independent sector – enabling a coordinated approach to improving the health of the community they serve. Together We're Better Director Simon Whitehouse has welcomed East Staffordshire Borough Council's planning approval for a health and care campus on the Outwoods site at Queen's Hospital in Burton. The development is a key priority for Together We’re Better. “I’m delighted that, thanks to East Staffordshire Borough Council’s planning approval, we’re a step closer towards a new healthcare village on the Outwoods site," said Simon. "This innovative and exciting scheme will involve health and care services working together in a more integrated way to better serve the local population and I congratulate the partners on the progress they have made." 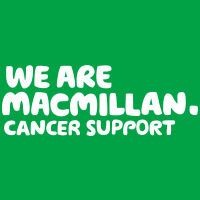 Partners of Together We’re Better will be able to improve the lives of local people living with and beyond cancer, thanks to new funding provided by Macmillan Cancer Support. Working with GPs across Staffordshire, the aim is to increase the number of people taking up the offer of screening. This will help diagnose cancer early and improve the chances of the treatment working. The second Symphony for Hidden Voices Inclusion Conference is being held on Friday 7 September. The event is hosted by North Staffordshire Combined Healthcare NHS Trust and supports the work of Together We're Better's Organisational Development and Leadership programme. 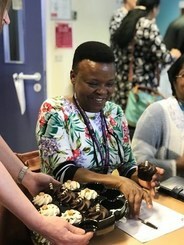 This free event seeks to share the stories of a selection of those whose lives have been shaped in different ways by their experiences of both inclusion and exclusion and the keynote speaker will be award-winning nurse Professor Dame Elizabeth Anionwu. The event also sees the launch of Together We're Better's Stepping Up Black, Asian and Minority Ethnic (BAME) Leadership Programme, which supports existing and aspiring BAME leaders to further develop their skills. Click the link beloe to book your place for the conference. Two local health and care hubs have been singled out as examples of innovation and excellence in a national report. 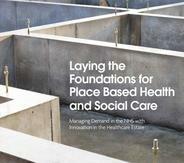 Northfield Village in Stafford and the proposed development of the Outwoods site at Queen’s Hospital in Burton have appeared as case studies in the report, entitled ‘Laying the Foundations for Place Based Health and Social Care’, which looks into how the NHS can best manage its estate in the future. Hundreds of people aged over 50 across Staffordshire are benefitting from advice on how to improve their healthy lifestyle behaviour. Since June, Everyone Health Staffordshire has established 105 clinics that people aged 50 years and over who reside in specific target areas can access. More than 270 people have received advice that has made a real difference to their lives, including stopping smoking, managing weight, falls prevention, social isolation and NHS Health Checks. The Pan Staffordshire Maternity Transformation Programme is holding its latest Perinatal Mental Health workshop on Monday 17 September. Pregnant women, new parents and their families are invited to share their experiences and views about maternity services in Staffordshire and Stoke-on-Trent at the event, being held from 10am-2pm at The Chartley Room, The Northfield Centre, Magnolia Avenue, Stafford, ST16 3DU. The programme aims to implement the recommendations from NHS England’s Better Births maternity review and forms part of the Together We’re Better Children, Young People and Maternity Programme. New training being given to reception staff is helping to provide North Staffordshire and Stoke-on-Trent GPs more time with patients that need it most. The Care Navigation project is also helping make sure more patients are being seen by the right health professional when they call their practice for an appointment. Reception staff are trained to ask patients simple questions about the reason they need an appointment with their GP, with some patients being signposted to an alternative if appropriate.